New Delhi: Auctions of third-generation (3G) telecom licences, which will allow phone companies to offer high-speed Internet and video downloads on handsets, may include a bonus for operators of existing second-generation (2G) services that submit winning bids. The 20-year validity of 3G and broadband wireless access (BWA) licences will give existing operators who win the licences a free extension of their 2G spectrum, or radio waves used for communications, said two senior officials in the department of telecommunications (DoT). Both officials didn’t want to be named because they aren’t authorized to speak to the media. 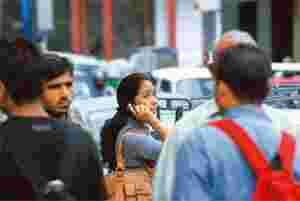 With mobile licence terms having begun in the mid-1990s, most 2G licences have about five years left to run, said an official in DoT’s licensing division. Existing operators who don’t win 3G spectrum “would have to pay a certain amount of money for renewing the licences, but the DoT is still deciding on the process of renewal and how much they would have to pay." Bharti Airtel Ltd and Vodafone Essar Ltd stand to gain the most from the move as they are also considered the two firms most likely to win 3G spectrum in the auction, analysts say. “It will be a bit unfair, especially to existing operators who don’t win 3G spectrum. Not only will they not have any 3G spectrum, but they would have to pay an additional amount to keep their business running," said a senior executive with an existing operator, who didn’t want to be named because of the sensitivity of the issue. At the beginning of last year, DoT issued a total of 120 licences, distributed among nine companies, including Unitech Wireless, Spice Communications Ltd, Sistema Shyam TeleServices Ltd, Datacom Solutions Inc. and STel Ltd, many of which are yet to start operations. They would be at a disadvantage if the automatic extension of 2G licence is given to 3G winners. “Everyone should be given the option to extend their licences. They should not be charged a fee for that. Charging an entry fee makes sense but now that there are so many operators, there should not be any renewal fee," says regulatory expert Mahesh Uppal, director with Com First (India) Pvt. Ltd, which deals with telecom policy. “There is a retained right to charge a fee in the agreement between the operators and the government." A report on 2G that was submitted to the Telecom Regulatory Authority of India (Trai) “spoke of separating the licences from the spectrum and charging a nominal amount of Rs45 crore for renewal", said the DoT official quoted in the first instance. “This may be too low as the telecom sector makes upwards of Rs35,000 crore in a quarter in revenue. We will see what Trai recommends." The spectrum committee report has recommended that the 2G licences be extended in perpetuity. In an internal note that was reviewed by Mint, DoT has recommended that the 2G licence extension needs “to be co-terminus with the period of 3G spectrum validity so that successful bidder derives full value of his bid." The first telecom licences in India were issued in the metros (Delhi, Mumbai, Kolkata and Chennai) in 1992, but due to a court case on valuations, these were only finalized by 1994. In Delhi, the two licensed operators were Bharti and Sterling (the licence now belongs to Vodafone; Sterling is a key owner of Chennai-based STel); in Mumbai the two licensees were Maxtouch (now Vodafone) and BPL Mobile Communications Ltd; in Chennai, the two licensees were RPG Celcom Ltd (now Aircel Ltd) and Skycel Communications Ltd (now Vodafone); and in Kolkata the two licence holders were Modi Telstra Ltd (now Bharti) and Usha Martin Ltd (now Vodafone).